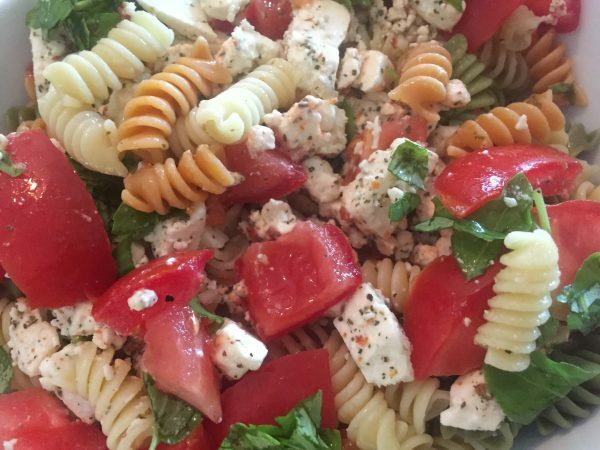 No intro needed for this yummy salad! It's so easy, a middle school aged kid starting to cook simple dishes can do this. Great for weekday lunches, or a light snack. Toss everything together and refrigerate for an hour or two to chill. This dish gave me an insight into the psychology of kids and new foods. 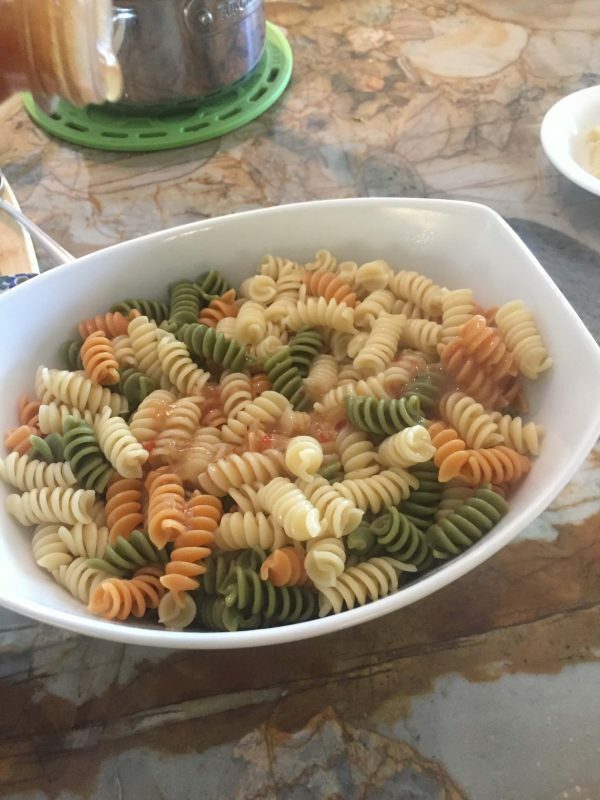 I never forced my kids to eat anything they didn't want to try at first, but would offer it every few months - and they would surprise me, and themselves, by trying it and find that they love it. 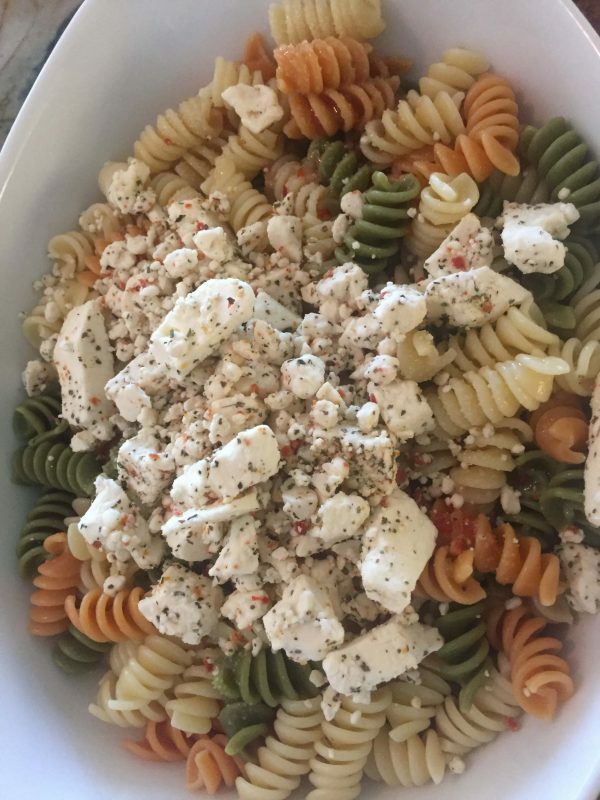 With the pasta salad, I remember one day I was making it to take to work for lunch, as my kids ate their breakfast and watched me. As I brought out all the ingredients, I could see their interest was piqued, but ignored, and continued to make it and pack it for myself. Finally, one of them, I don't remember who, said: "Can I try it?" And a new favorite lunch dish was born! To date, my daughter loves it, and makes it all the time. And is probably going to make fun of me for posting this recipe, as it's really so simple that a kid could make it. 1. 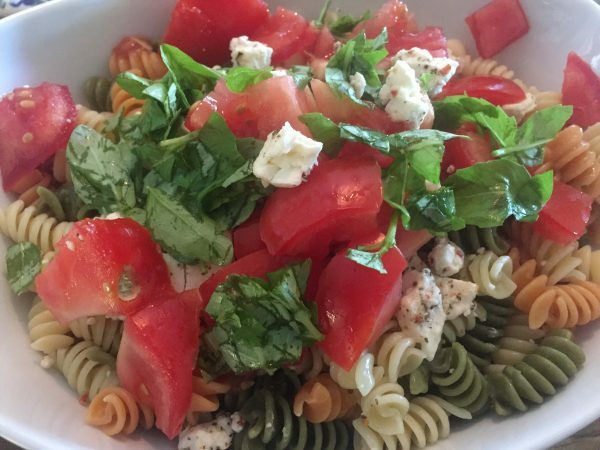 This salad is vibrant with the red, juicy tomatoes - try not to forego it. 2. As for other vegetables, you will only be limited by your imagination, but try to keep the flavors a bit subtle and not overpower it. 3. 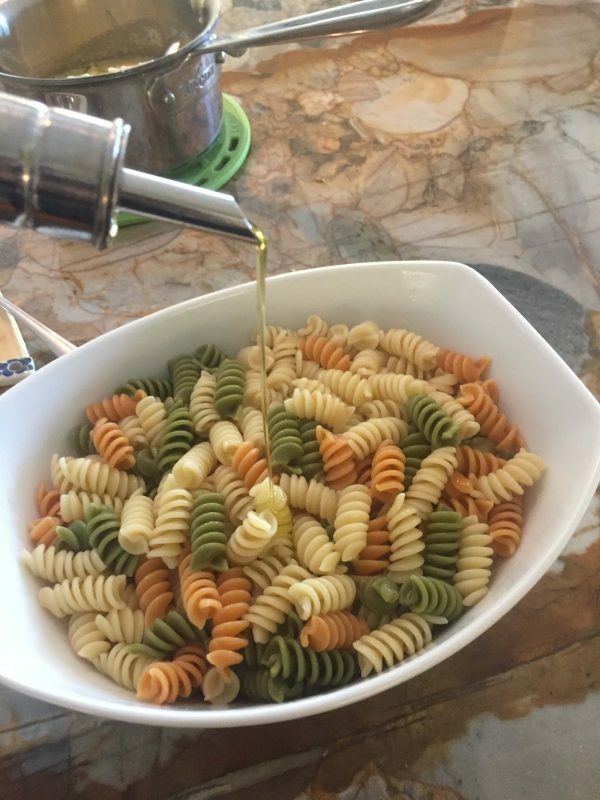 If you're using olives, use just a little. 4. Good quality extra virgin olive oil is a must. Fruitier the better. 5. Freshly ground pepper is also important. 6. 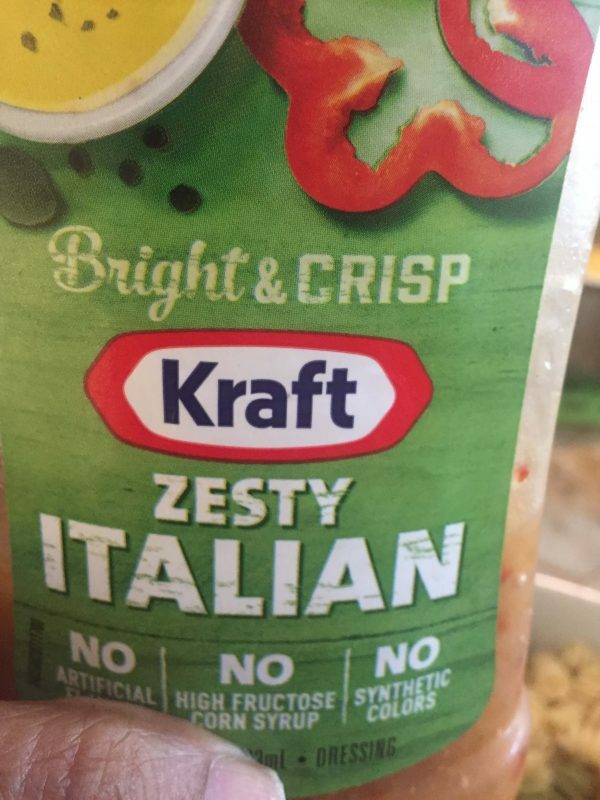 Basil! Love basil in this! Please do use!